SNK have revealed details on their upcoming retro device, the Neo Geo Mini. As expected, it is indeed the console that was leaked just before the weekend and replicates the MVS cabinets that filled many an arcade room in the '90s. The unit stands a little over six inches tall and five inches wide. The control panel features a classic joystick and ABCD button layout (although the buttons are stacked, rather than aligned). You can play all of its built-in classic games on the Mini's 3.5 inch LCD screen, or you can connect the device to a TV through HDMI. There are USB ports with which to connect external controllers which, according the rumours last week, are designed in the style of the Neo Geo CD pads of yesteryear. The Mini also houses a headphone jack. 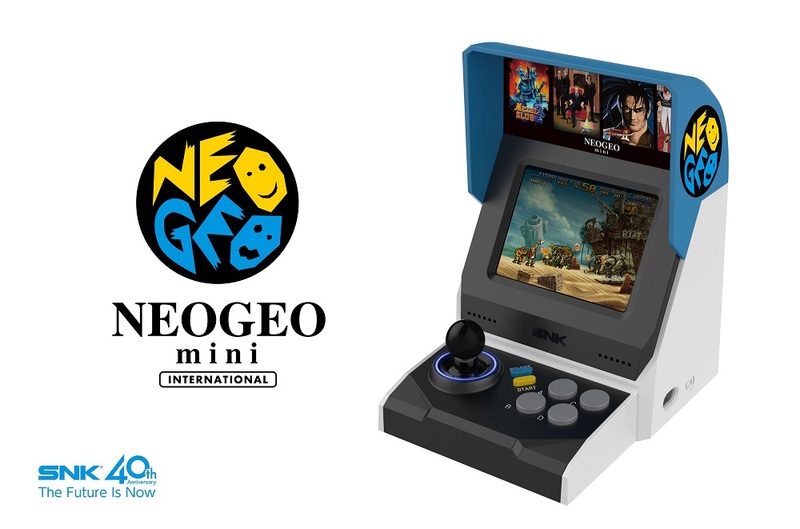 There will be two variations of the Neo Geo Mini, to reflect the differing MVS cabinet designs in Japan and overseas. Although SNK have not yet revealed an official list of the 40 games housed within the dinky unit, these too may have been already revealed, including obvious titles such as Samurai Shodown II, King of Fighters '98, Metal Slug, Real Bout 2: The Newcomers and Garou: Mark of the Wolves. SNK are yet to announce a date or price for the Neo Geo Mini.